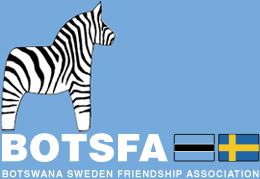 The book is a brainchild of the Botswana-Sweden Friendship Association (BOTSFA) who, five years ago, decided to put together “memories” from those who had been involved in development of Botswana through Swedish aid. At least 70 authors, interviewees and photographers who were part of the development or are, today, carrying the country forward into the future participated in the production of the 224-page book. Sweden embarked on the journey of providing support to, among other development areas, education, physical planning, water reticulation and roads. 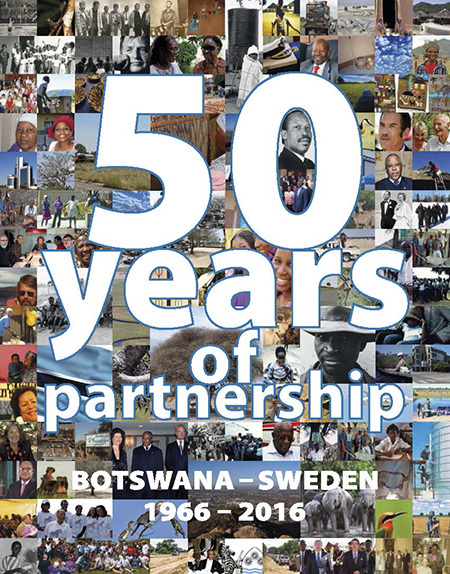 The narrations by those involved in the developments, including founders of Botswana, diplomats and those who are taking Botswana forward as the country celebrates 50 years of its successes are unique. The editors believe this to be the first ever collection of reflections, stories and photographs on the relationship between a donor and aid recipient, evolving into business partnerships and cultural exchanges. The book will be released in conjunction with the commemoration of Botswana’s 50th Anniversary of Independence in September 2016. Click on the picture of the book below to view a five-minute slideshow with selected pages from the book. To order a copy, please contact BOTSFA.